We'd like to welcome new subscriptions to this newsletter. All unsubscribe requests are honored immediately, period. We have no new public shows to list at the present, but there are some projects "In the pipe". Meanwhile, remember BlueGrass West! if you need music for your party, fund-raiser, wine tasting or other event. To be re-released this year. See my blog article, based on an interview with Albert Idhe, its director. 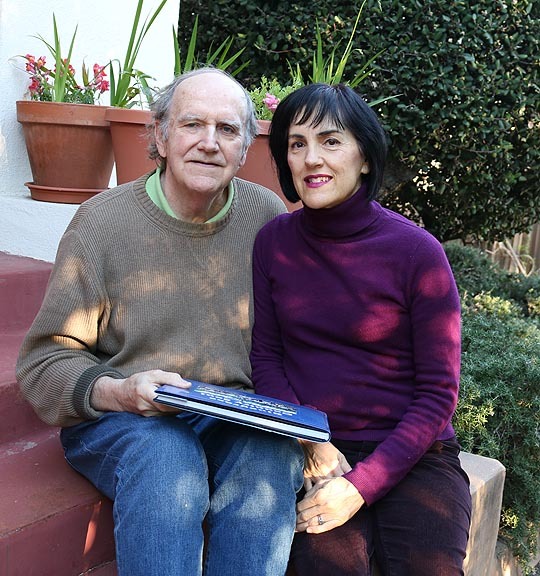 Albert Idhe and his wife Ellen. That enables you to give some fine music as a present and help keep the live music going here at BlueGrass West! 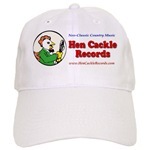 Remember to get your own stylish, lightweight Hen Cackle Records cap or T-Shirt! They're exactly what you need to complete that high fashion outfit and mark you as a person to be reckoned with! Not only will you help sponsor great music, but you will be supporting our efforts to bring you the finest in live concerts throughout the coming year. LONG BEACH. 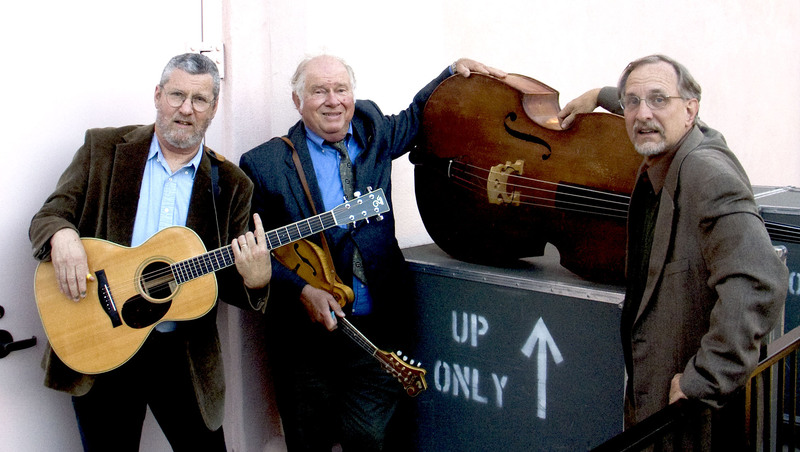 Fourth Sunday Bluegrass jam at SHUTTS FABRICATORS, 1632 West 15th Street, Long Beach, CA, 90813. 562 432 4648 1:00 PM until five-ish. 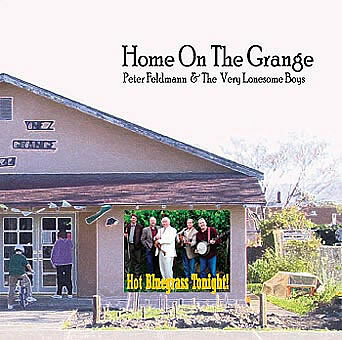 PASO ROBLES: every Wednesday, open jams mostly bluegrass, some folk -- run from 6:00 to 8:00 P.M., at Matts Music, 617 12th St. For details call (805) 237-0054, or see website at www.mattsmusicinpaso.com. LOMPOC: 2nd and 4th Wednesday evening jams, 6:30 -- 8:30 PM at Southside Coffee Co., 105 So. "H" St. -- for more info call Bill at (805) 736-8241. VENTURA. Every 2nd and 4th Wednesday, 6 PM until 11:30 PM, at Ventura's Grapes and Hops. 454 E. Main Street, Ventura, CA. 93001. Plenty of parking in the back.. Info: Gene Rubin: 805-340-2270. FRESNO: The Fresno Folklore Society has a weekly jam. It's the friends of Kenny Hall Memorial jam at the Santa Fe Basque Restaurant every Wednesday from 5:30 - 7:30 pm. SANTA CLARITA -- BASC BLUEGRASS Jam Starting April 10th every Second Sunday of the Month. An open jam session for pickers of all ages. This is an open to the public event. Vincenzo's Pizza Newhall /// 24504 Lyons Ave, Santa Clarita, California 91321. Thank you for supporting old time and bluegrass music.